First of all, please make sure if the product has been installed from the server side. Then follow the steps below to trouble shoot this issue. Related solution hasn’t been deployed to Central Administration where License Manager is running. To solve the issue, please go to Central Administration -> System Settings -> Manage farm solutions to find and deploy the product’s wsp file(which is related to the error) to Central Administration. 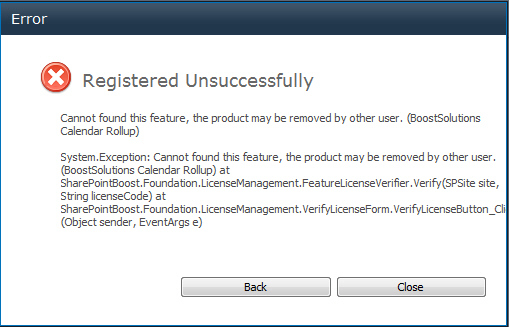 Failed to create receiver object from assembly "SharePointBoost………"